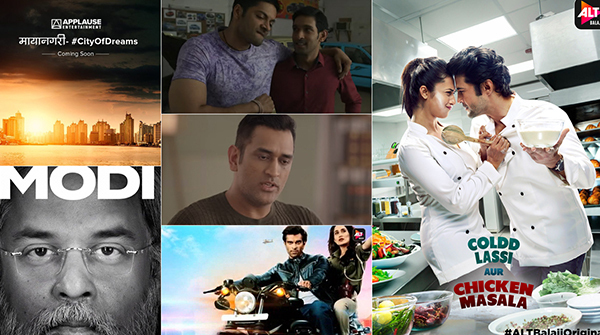 6 Best Web Series That We Are Eagerly Waiting For! In the recent past we have seen quite a few amazing web series’ that have not just kept us engrossed throughout but left us with the feeling of contentment when it comes to having a great watch. On the digital medium, the writers, makers the liberty of not going to any censor board for any certification and that’s one of the reasons why web series content is often hard hitting, entertaining and interesting throughout. Starring the Queen of Indian television, the extremely beautiful Divyanka Tripathi Dahiya and the very handsome Rajeev Khandelwal, Coldd Lassi Aur Chicken Masala is one of the most awaited web series. ALT Balaji’s Coldd Lassi Aur Chicken Masala is a story of love, betrayal and getting back up after gathering all the broken pieces of the heart. The whole Divyanka and Rajeev fandom is excited to watch their favourites and the dream Jodi for many in this upcoming web series. DivRaj as the fandom fondly calls, make an amazing pair undoubtedly and watching them together is going to be no less than a treat. The shooting of the web series has already commenced and it shall soon stream on ALT Balaji. Meet Faizal - Parth Samthaan's Character In Kehne Ko Humsafar Hain 2! The Final Poster of Divyanka-Rajeev’s Coldd Lassi Aur Chicken Masala Is TOO HOT To Handle! CLACM, Mirzapur 2 and Modi seem interesting!!!! Modi web series has a far better cast than the movie!! !